There are multiple ways to add scoring to your quiz. Simply add 1 point per correct answer, or add multiple points depending on the answer. Here are 4 examples of how you can use custom scoring and how to implement it correctly. 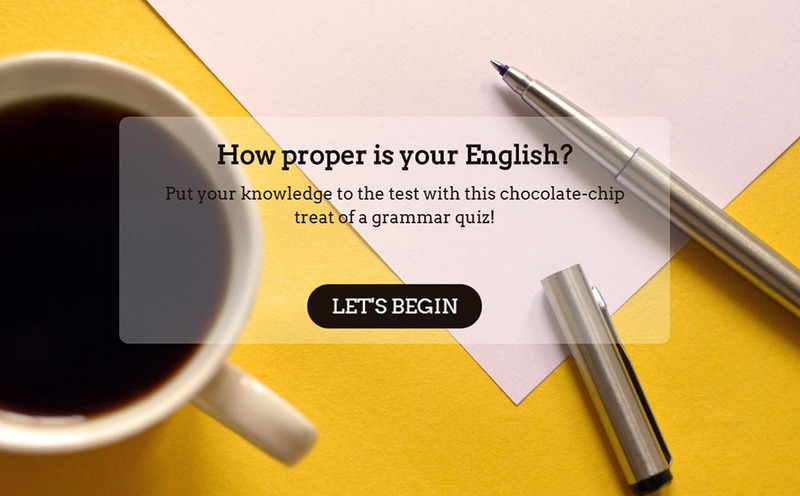 Take a look at the 10 best sources for quiz questions and answers. When you turn a question into a quiz question, a slider will appear next to each answer. Toggle to show which is the correct answer. The score for that answer will change to 1. In this case, respondents get 1 point when they indicate the right answer, and 0 points when they indicate a wrong answer. When you turn a question into a quiz question, a slider will appear next to each answer. Toggle to show which is the correct answer. The score for that correct answer will change to 1. For every other possible answer, you can manually change the points by adapting the number in the boxes next to the answers. In this example the respondent will get 5 points for the correct answer (Beethoven), 2 points for the wrong answer Mozart (Beethoven and Mozart were from the same period while Bach had already died when they were born) and 0 points for the wrong answer Bach. Tip: Want to add a negative score to an answer that is really, really wrong? You can do so by typing the negative number in the box. When you turn a question into a quiz question, a slider will appear next to each answer. Toggle to show which is the correct answer. The score for that answer will change to 1. When you make multiple answers possible, you will be able to indicate more than one correct answer. In this case the respondent will receive 1 point for every correct answer and 0 points for every wrong answer he/she indicates. When you turn a question into a quiz question and make multiple answers possible, a feature will appear called give score when all correct answers are selected. If you turn on this feature, the score boxes next to the answers will disappear. You will be able to determine a score (score when answers are correct) that the respondent will get when he/she answers the entire question correctly. This means that he/she only gets a score when all the correct answers are chosen. When he/she indicated a wrong answer or not all of the correct answers, he/she will get the score you determined in score when answers are wrong. In this example the respondent will receive 5 points when he/she indicated both Crick, Watson and Wilkins and only then. In all other cases (respondent indicates only Crick and Watson, or one of the wrong answers) he/she will receive 0 points. The custom scoring feature allows you to specify a variable score for each answer. So you obtain a score per survey/respondent and an average score for all your surveys/respondents. When you use the quiz capability each correct answer gives you a score. The end result for the quiz is a gauge with the sum of the scores per answer. In the results pages, this score will be shown as average for all respondents and a score per respondent. Read all different ways to use quiz scoring. Remove any reference to Survey Anyplace and add your own brand with our Whitelabel solution. Surveys with a customized layout are more personal and get you higher response rates. Let people take survey on-, offline and on any device they want. Create your first scored survey in minutes.